In my early twenties I worked in a Thai restaurant that my friend’s family owned. The food that was introduced to me was amazing. From traditional Pad Thai, to Lemongrass Beef and Panang Duck we got to pick anything we wanted off the menu, twice a night. Amazing. This is a little recipe that I picked up from my four years at the restaurant. Line a cookie sheet with parchment paper. Place 6 scoops of ice cream onto the parchment paper. Make sure the scoops are rounded and not touching each other on the cookie sheet. Freeze for two hours. Slice 6 slices of pound cake in half making 12 thinner slices. 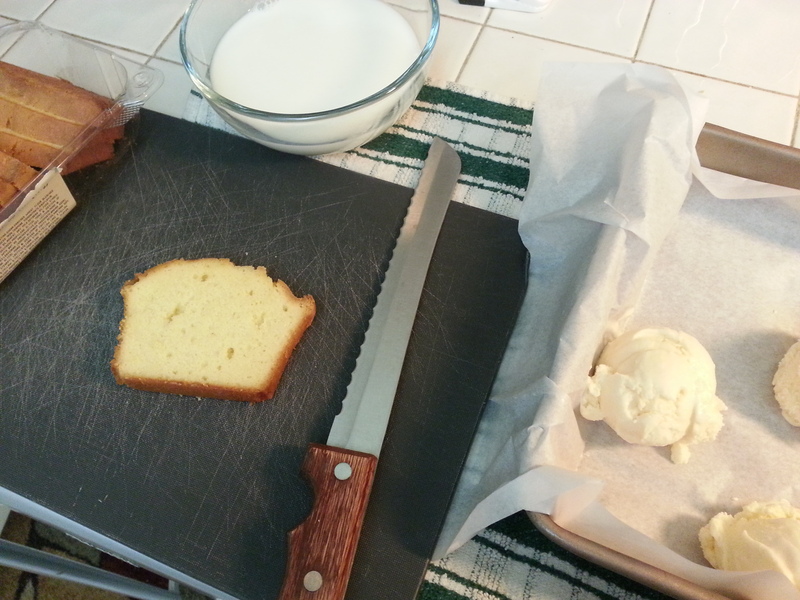 Dip ice cream scoops into milk and quickly coat scoop with two thin slices of pound cake. The milk allows for the cake to form easier and stick to the ice cream, Mold cake around ice cream and place back onto parchment paper lined cookie sheet.Repeat until all ice cream scoops have pound cake around them. Freeze for another 2 hours. Bring oil to a boil in small sauce pan. 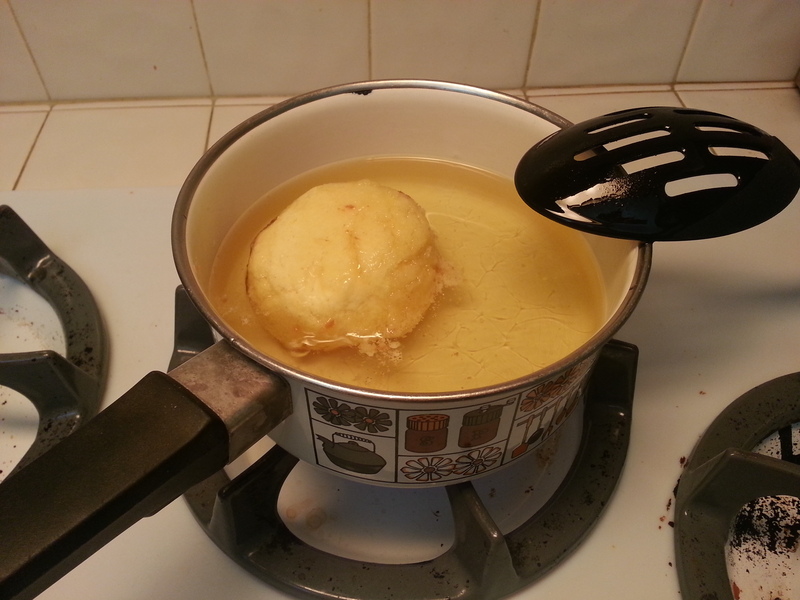 Once oil is brought to a full boil place ice cream into sauce pan using a long handled spoon. Let fry for a minute and a half per side slipping only once. Scoop fried ice cream out of oil using a slotted spoon to allow oil to drip out as much as possible. 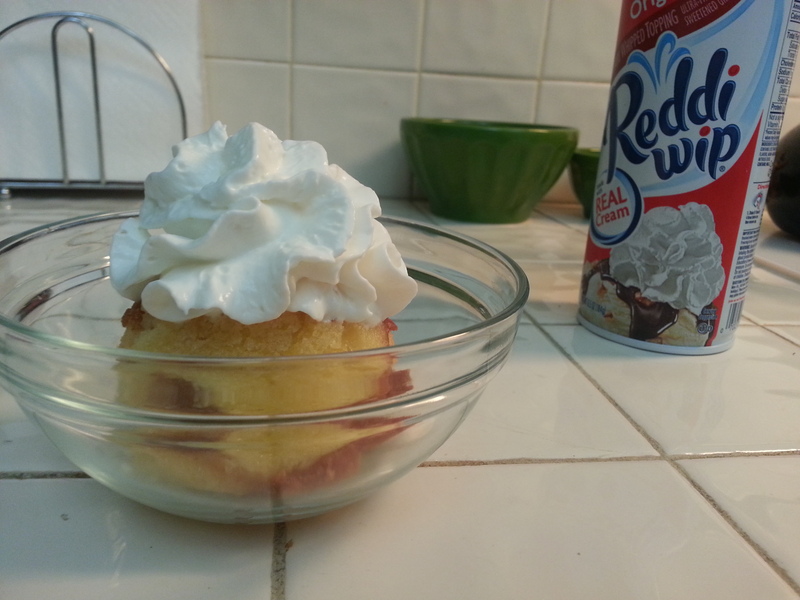 Serve in bowl with a dollop of whipped cream. 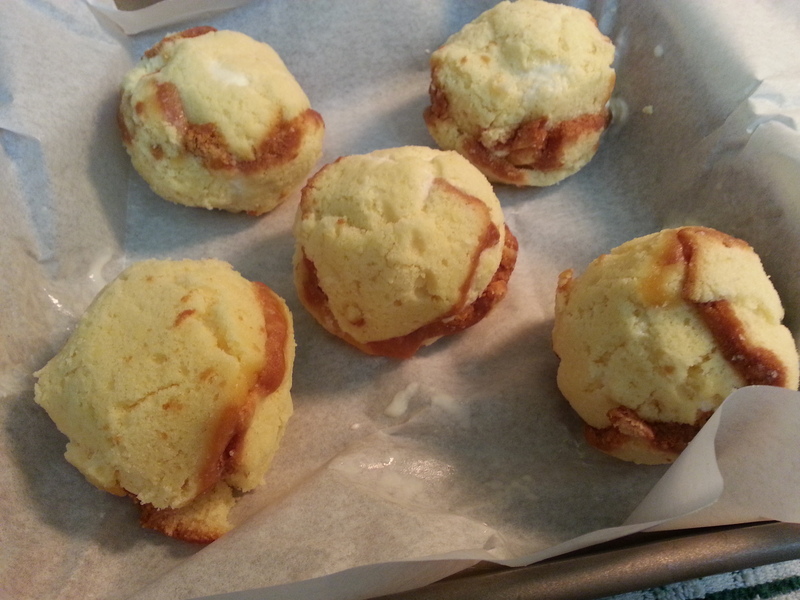 Left over fried ice cream can be wrapped in plastic wrap after being casted with pound cake and fried at a later time. Cube onions in 1 ½ inch cubes. Peel carrots and cut celery and carrots in 1-1 ½ inch cubes. Clean potato skins very well. Cube potatoes in 2 inch cubes leaving the skins on. Place all cut vegetables in bowl and add salt and pepper. Let sit for 5 minutes. 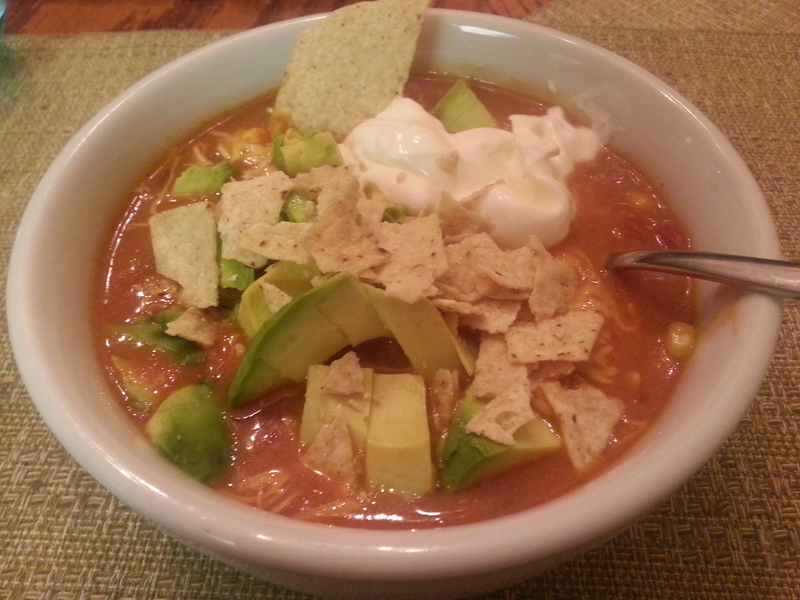 Add bullion cubes into bowl and add 2 cups of water. 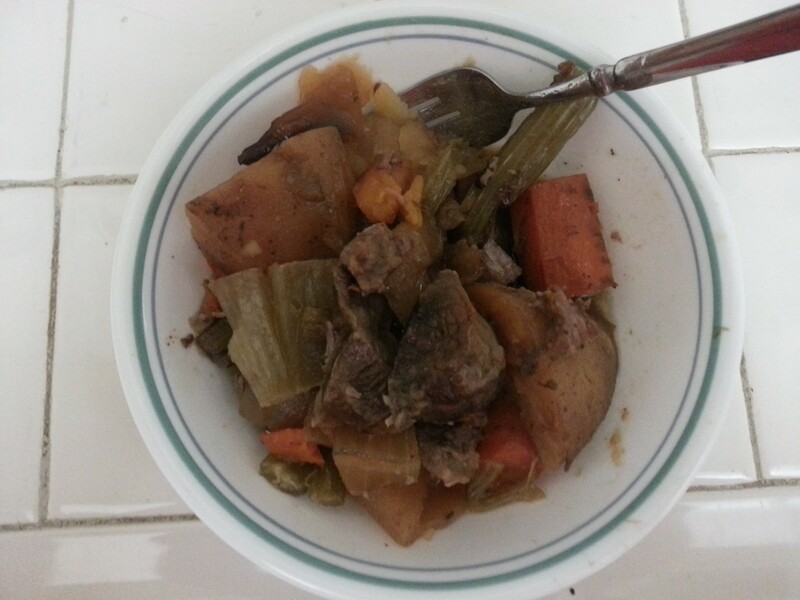 Pour vegetable mixture into crock pot and top mixture with beef. Let cook on high for 7 – 8 hours.